A project I started sometime last year, maybe December, has actually been mostly done for a while now. However I got tired of looking at it, didn’t like the way the binding looked on one of them, etc. so I sort of abandoned the whole series for months. Until today!! I happened upon the stack of three hiding under other abandoned projects on my fabric shelves. I really love the way they look together! 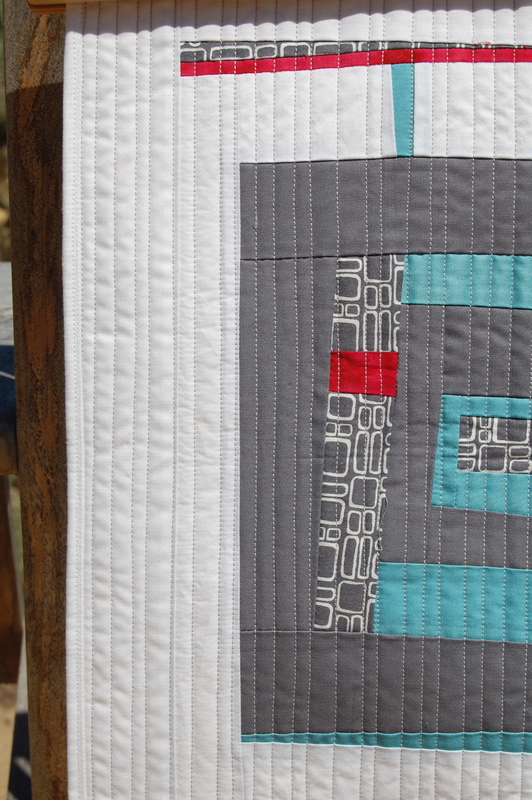 The middle one is different because my choice in quilting lines didn’t exactly turn out the way I had hoped, more on that here. However, like much in the creative process, that “mistake” ended up defining the three in a way. 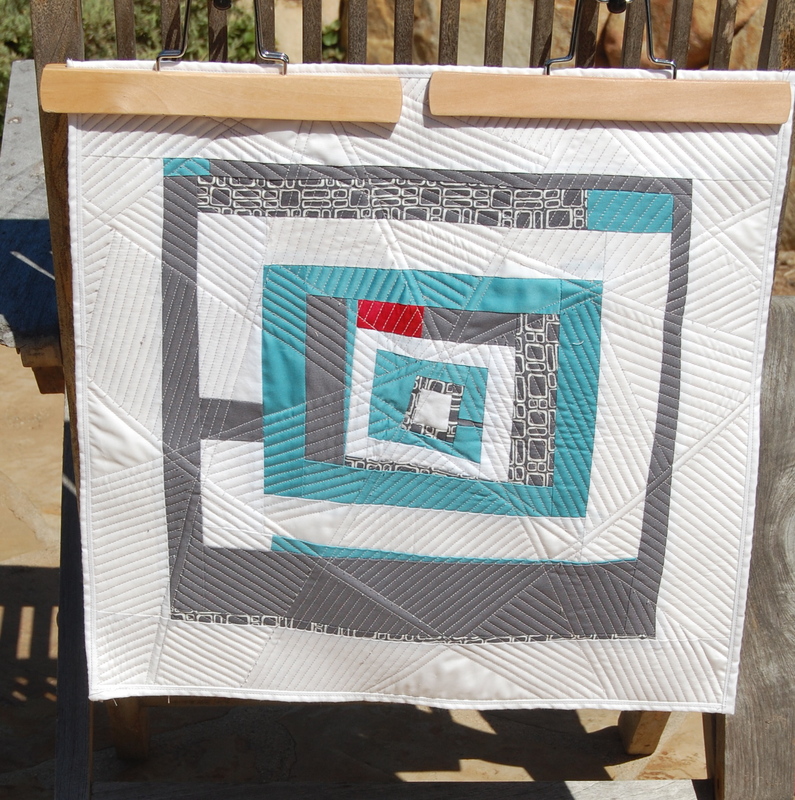 It helped shape my decision for how to quilt the other two blocks. This one is my favorite of the three. This one seems to be the most popular among friends and family. I love how we are all drawn in by different things. Looking back now that I’ve had some time away from the project, I realize how much I love creating smaller pieces like this. I still haven’t figured out how I would like to hang/display these. Any suggestions would be greatly appreciated. I was thinking of some really modern metal hardware with a super tight, small wire in between. My DH thinks they will be too heavy for the wire though!? Perhaps a traditional wall hanging sleeve is best? I’ll have to do a bit of investigating on hanging options. I am excited to see them hung i mean see them sell! I have decided to list them in my Etsy shop. Please feel free to check out the listing. These are beautiful! I am sure any way you hang them would be great, but since you mentioned it I know that Ikea sells hanging metal wire (that screws into the wall on both ends) along with metal clips. I’ve used it and it is very strong. The nice thing about that method is you can easily change what’s hanging at anytime. Thank you for the Ikea tip. I’ll go online and check into it. That is what I’ve always envisioned for these. Love your work!!! I really love these….so beautiful. Thanks so much for your comment. I really appreciate the support. 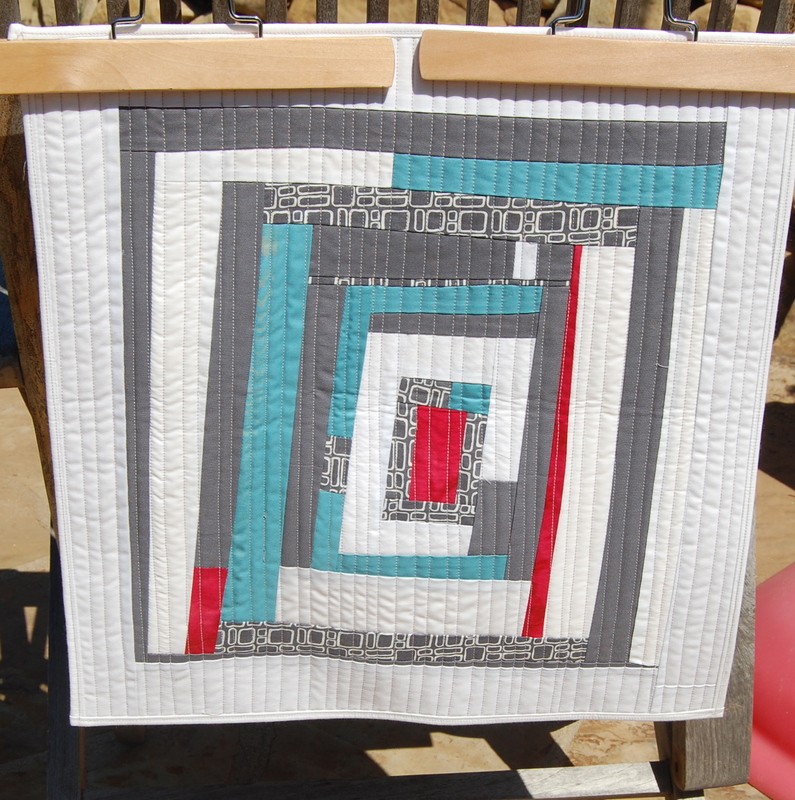 I absolutely love the way you have quilted the piece that has lines going in every direction. Great trio. Funny how you can leave something without much love and then come back later and see it with fresh eyes. I’m commenting a little late, but I guess a little late is better than nothing…right?? I LOVE these!!! 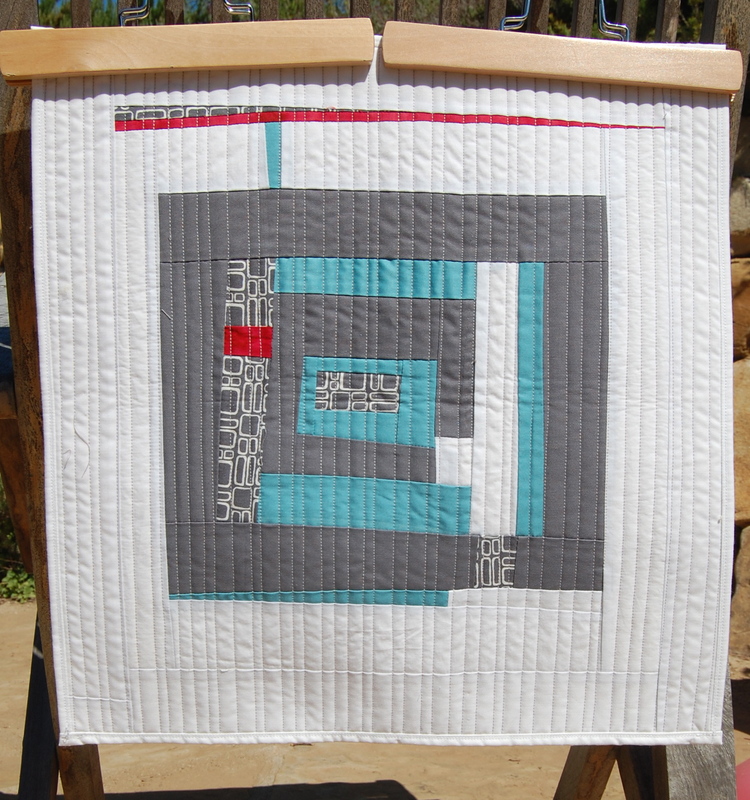 The quilting is beautiful on all of them. I don’t think I could decide to pick one that I liked better than the other two…they’re all gorgeous!! They’re awesome. I think they would be cool actually framed together. I know that’s not the most economical option. Thanks Katie! I’m heading out to Ikea tomorrow to find some cheap hanging hardware!! fingers crossed that will work…..